Your technician must use products that will destroy bacteria and lash mites on your lashes prior to your eyeliner or lash enhancement procedure, to protect from infection! Skin Needling Is It Here To Stay? 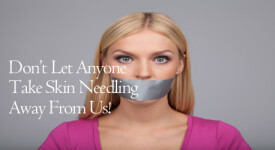 Does Skin Needling™ Help Wrinkles?